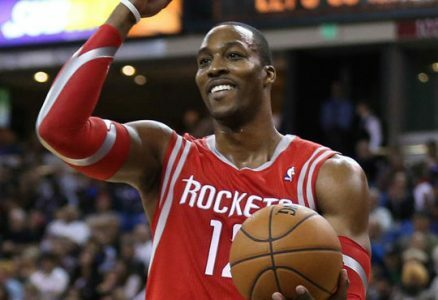 Spread: Houston Rockets favored by -7 points. The Dallas Maverick avoided suffering a four-game sweep against their in-state rivals the Houston Rockets as they won 121-109 home at Dallas Sunday. Tonight the teams are back in Houston and the home team has yet another shot at closing out this series and securing its spot in the Western Conference semifinals. Remember to check out our daily NBA Free Picks and NBA Premium Picks. The Mavericks finally showed good fighting spirit in Sunday’s win. They were down by nine points after the first quarter but came back strong in the second and came into half-time with an eight point lead and controlled the game from there on. They shot 54.3% from the field and 35.7% from behind the arc and won the battle of the boards 52-38. Tyson Chandler dragged down 14 boards on his own and Al-Farouq Aminu picked up 12. Each of their starters reached double-digits for points as Monta Ellis led the team with 31 points while J.J. Barea had 13 assists. The Rockets shot were a lowly 7-for-31 from behind the arc Sunday and James Harden knocked down only one of his seven 3-points attempts, but keep in mind that he was 5-for-7 in game 3. Harden has no intentions to stop shooting: “We shoot 3s,” Harden said after the game. “That’s what we do.” Harden still led the team with 24 points in Game 4 and Corey Brewer as Josh Smith came off the bench contributing with 22 and 23 points respectively. Dwight Howard was 5-for-7 from the field but made just three of his 13 opportunities from the foul-line. Another Mavericks win is pretty unlikely here going by the trends as they’re just 2-10 ATS in their last 12 games following a S.U. win and 1-7 ATS in their last 8 games following a ATS win. The Rockets meanwhile are experts at bouncing back as they’re 11-1 ATS in their last 12 games following a SU loss of more than 10 points and an impressive 9-1 ATS in their last 10 home games vs. a team with a winning road record. Dallas has failed to cover in each of the last four visits to Toyota Center, and backing the Rockets to close out the series is a sensible bet.